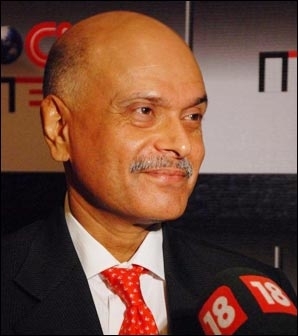 After having written on Mudra and Dhirubhai Ambani, former Mudra chairperson and managing director, AG Krishnamurthy has authored a book on good advertising practices. One needs more than formal education in advertising and marketing communication; also required are ordinary, additional skills, attitude and a belief system that formal education fails to provide, says AG Krishnamurthy in his book titled 'Learnings of an Advertising Practitioner'. After having penned books on Mudra and Dhirubhai Ambani, the sixth book by former chairperson and managing director and founder, Mudra and current chairperson, AGK Brand Consult, Krishnamurthy talks about looking beyond the obvious when it comes to advertising and marketing. The book was launched in Mumbai on December 10 at Crossword. Learnings of an Advertising Practitioner is targeted at individuals planning a career in advertising, particularly Indian advertising, and others interested in the field. Talking to afaqs!, Krishnamurthy says, "While there are a lot of books on advertising available that could serve as textbooks; with this book, I have tried to share my experiences, all that I have collected and learnt through my career in advertising." "This is not a criticism of the industry, but purely my thoughts and perspectives that I put down in a simple manner," he adds. Through a series of conversations between a fictional 'guru' and 'shishya', theories are detailed across 20 chapters. The book talks of simple theories on all that is required and expected of advertising professionals, but is often ignored. It remarks how agencies, in a bid to offer solutions, fail to delve deeper into the brand and market realities. The chapters lay emphasis on thinking like a consumer; prioritising what is regional; trusting intuition; banking on work rather than PR agents; putting the hype of the profession behind and remembering that advertising is a team effort. The book also includes anecdotes and takes the reader behind the scenes of popular ad campaigns for brands such as Vimal, Rasna, Surf, Raymond and Maggi. On the aspects of advertising that need immediate attention, Krishnamurthy says that the communicator must put the consumer in the centre of everything, and actually think like one. "The communicator is like a matchmaker, who must evaluate the brand and the consumer, and bring them together," he says. According to Krishnamurthy, advertising is as serious a business as any other; and one must not get carried away by the glamour associated with it. Finally, he adds that one must be careful not to depend on style alone and give substance its due credit. "Creativity without relevance is of little significance," he remarks. Krishnamurthy's first two books on Mudra were titled 'The Invisible CEO' and 'Desi Dream Merchants'. His next two books centred on Dhirubhai Ambani -- 'Dhirubhaism' and 'Against All Odds'. He followed the four books with 'Ten Much', a book on the simple processes that lead to success.